As the founding president of TCS Education System, Dr. Michael Horowitz has brought with him over 28 years of experience in the field of higher education. Under his leadership, TCS Ed System has grown to include nearly 6,500 current students and 25,000 alumni. Further, our institutions have expanded their campuses nationally while increasing their reach globally. Dr. Horowitz continues to lead TCS and its community of nonprofit colleges and universities in the shared mission of preparing innovative, engaged, purposeful agents of change who serve our global community. During his tenure as president of The Chicago School from 2000-2010, Dr. Horowitz guided the institution into becoming a thriving graduate school on the leading edge of professional psychology. In that time, enrollment increased from 200 to 3500, the school expanded geographically to include sites in California, Washington, D.C., and online. In that same timeframe, the historic Chicago campus moved to a prominent downtown location that is now owned by the school. 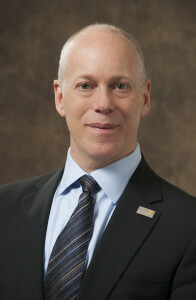 Prior to 2000, Dr. Horowitz’s experience in higher education included roles as a faculty member, program director, dean, and executive team member that led and managed a national, growing multi-campus university. Dr. Horowitz received his Ph.D. in Clinical Psychology from Northwestern University in 1986 and B.A. in Psychology from Columbia University in 1981.